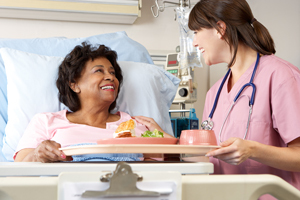 Patient Advocates act as a personal liaison between patients and the hospital. Advocates help to resolve individual problems, concerns, and unmet needs. They also work with hospital staff and management to maintain and improve the quality of care at our hospitals. If you have a complaint or a compliment regarding the quality of your care, please call this department. They will review and work with appropriate hospital staff to help facilitate a resolution of your problem, or pass along compliments to make sure we recognize staff who uphold our mission and values. We would like to make your stay with us as comfortable as possible. Your well-being and satisfaction are our primary concern. We welcome comments, suggestions, or compliments you have regarding the care and services you receive. 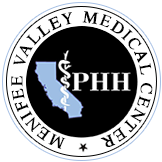 Menifee Valley Medical Center is focused on Quality, Service, and Satisfaction as the cornerstones to our success. Our hospital places the needs of our patients first and foremost, focusing on excellent clinical outcomes, patient safety, and exceptional service. We randomly survey our patients by mail within two weeks after leaving one of our hospitals. The feedback that we receive is important to us for monitoring and improving patient satisfaction. We share the results with our staff and use the findings to identify areas for improvement. If you receive a survey, please take a few moments to share your experience and return for our review. We value your opinion.